Area of Expertise- Finance, Investment, & Retirement Planning. 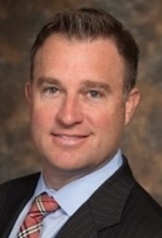 Gavin is President and CEO of the Gleason Group. Headquartered in Prospect Kentucky, Gavin and his team provide wealth management and investment advisory solutions to a wide range of individuals, businesses and business owners. More information on the Gleason Group can be found online at www.gleason-group.net. Mr. Gleason most recently was a member of the Regional Board of Directors for the Make A Wish Foundation in Louisville, Kentucky. He and his wife are also wish granting volunteers for Make A Wish Foundation in Louisville, Kentucky. Mr. Gleason holds a Bachelor of Science Degree in Accounting with a Minor in Marketing from Miami University in Oxford Ohio. He is a Certified Public Accountant (CPA) and member of the American Institute of Certified Public Accountants (AICPA). Mr. Gleason is active in his community and works closely with a variety of charities held closely to him and his clients. Additional information on these charities and organizations can be found online at:http://www.gleason-group.net/who-we-are/giving-back.